Home Enlivening Why Do We Get Lonely? Energetically our mind is constantly active, thoughts are streams of emotions that flow together continuously, there is no break in the thread of impressions our mind provides us. If we are not stressing about money then we feel emotional pressures in regards to our children, if our mind is not creating a web of tension about our family then it will cause us to worry about our job, our car, our roof, the stain our mind inflicts on us every moment of the day can be emphasized enough to cause anxiousness and often physical ailments. 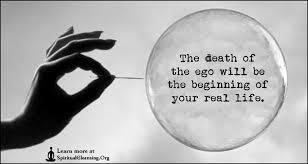 If our ego mind is responsible for how we suffer, sourcing us to have symptoms such as depression, loss of appetite, insomnia, worry, anxiety, and emotional strain then most definitely it can talk us into feelings of loneliness as well. Whatever our daily concerns might be, a great deal of what we believe is a problem is very well not a matter to be worried about at all, everything is a problem to the ego but that doesn’t necessarily have to involve you. You are not what your mind talks you into, your ego is a collaboration of all the messages you have received since you were a child, your work is to filter through those messages and delete the ones that do not apply to who you are. Loneliness is just another one of those messages that the ego believes needs to be a problem, but does it really need to be? The truth and the reality of loneliness are simple, it is just another state of mind. The wonderful thing about our mind is we can change it whenever we feel like it, we have control over it, therefore, we can listen to it or we don’t listen to it, the choice is ours. If your ego is trying to drag you down the loneliness canyon you have a choice at that moment, either to fall into the pit and believe you are lonely or instantly become conscious of your mind thought and turn it around. In actual fact most of us long for alone time or solitude, it is only the ego that twists this longing into something distorted and inaccurate. Become conscious and aware of what you think, when you do you will be more equipped and armed with being able to shift your perception of just about everything.